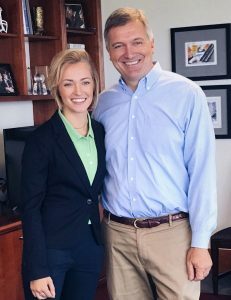 Tessa Otto with NRECA CEO Jim Matheson. Tessa Otto of Kennan is the winner of the National Rural Electric Cooperative Association’s (NRECA) 2017 Glenn English Scholarship, an award available to qualifying college students through the Glenn English National Cooperative Leadership Fund. Otto was sponsored by Price Electric Cooperative to attend the Wisconsin Electric Cooperative Association (WECA) Youth Leadership Congress in 2013. 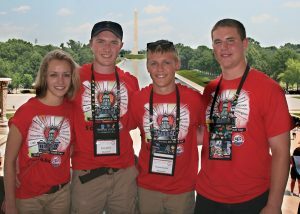 That experience led to additional involvement in WECA and NRECA youth programs, including the Youth Tour to Washington, D.C. Eligibility for the English scholarship requires Youth Tour participation. Her award is $10,000. Four other finalists in the competition received $1,000 awards. Otto (right) with Jocelyn Parker (Richland Electric Co-op) at the 2017 NRECA Annual Meeting in San Diego. “I’m looking forward to great things in her future,” Carson said. 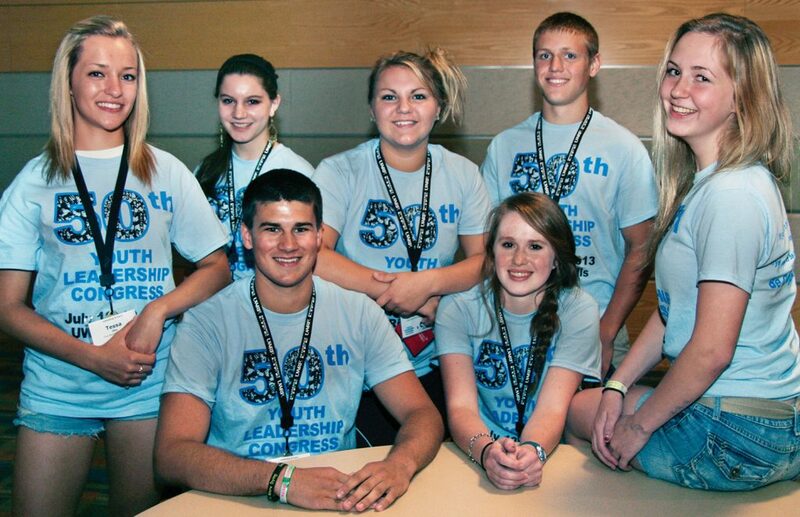 Otto was elected to the WECA Youth Board during the 2013 Youth Leadership Congress at UW–River Falls. 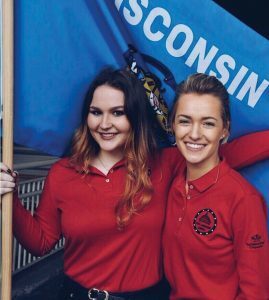 The following year she took part in the NRECA Youth Tour, represented Wisconsin on the NRECA Youth Leadership Council in 2014 and 2015, returned for the 2016 Youth Your and Youth Leadership Council, and has assisted with both again this year. She attends the University of Wisconsin–Oshkosh where she is majoring in business management with a marketing emphasis. The scholarship is named for the former 10-term Oklahoma congressman who served as CEO of the electric cooperatives’ national organization from 1994 until his retirement in 2013. Tessa’s video submission can be viewed by going to www.weca.coop. Otto (back row) serves as a mentor on the 2016 Youth Tour. Exploring Washington, D.C., on the 2014 Youth Tour. 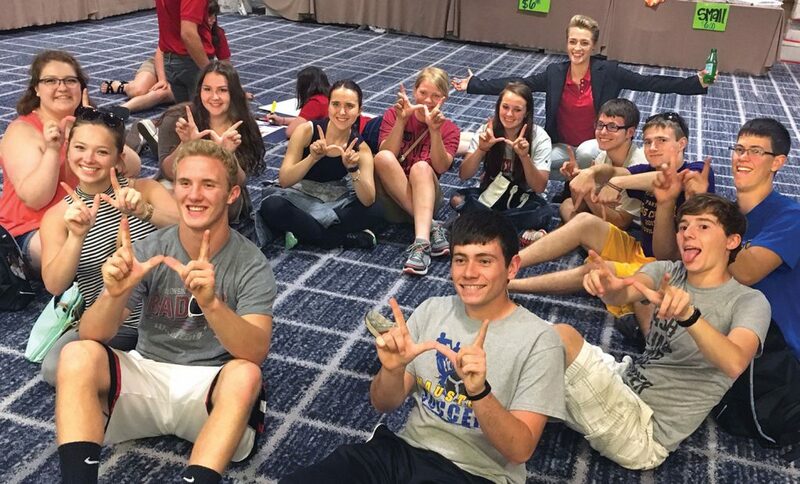 WECN: You’ve been involved with a number of cooperative youth leadership activities since 2013. What’s your most memorable co-op youth moment? Tessa: It is hard to pin-point one moment in particular. I will share a very fond memory, however. I remember back in 2014 on my Youth Tour we had a very talented singer. While standing in front of the Washington Monument waiting to go up she sang “Traveling Soldier” acapella and the waiting crowds went silent for her. It was a very moving experience. When someone asks me the best part of this program I consistently (and cliché I know) say the people, and the friendships that I have made along the way. Laughing until you cry seems to be a daily occurrence when I am with my NRECA folks, but we could maybe attribute this to sleep deprivation creating America’s next great leaders. Well worth it. WECN: What does this scholarship mean to you? Tessa: This scholarship for me means more opportunities because it takes away a substantial financial load that I would have needed to pay out of my own pocket. Now that I have an extra fund to work with, I can focus more and consider internships across the nation, study-abroad trips, and voluntary leadership roles on my campus. It will ultimately make my college experience more enjoyable because I am not spending time stressing about coming up with money to fund my education. Speaking at the 2014 NRECA Youth Tour. WECN: How have cooperative youth leadership activities helped you in college, and helped you prepare for the real world? Tessa: Like I said in my video, this program was a vehicle for me to become not only a great youth leader, but also worked me into a business professional setting where I was fortunate enough to learn at an early age how to best articulate myself in an appropriate matter. 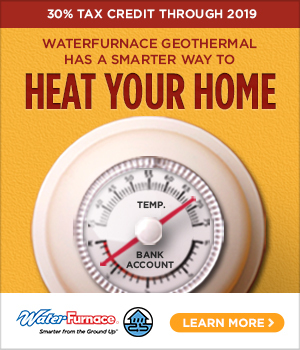 On all of these trips (July was my 8th trip through the NRECA), I have been able to practice interactions, write and give speeches, and even felt like I have perfected something as simple as a firm handshake. The skills that I needed to possess for this program allowed me to jumpstart myself ahead of my peers by beginning this business professional lifestyle back when I was 15 years old attending my first Youth Leadership Congress in 2013 at UW-River Falls. 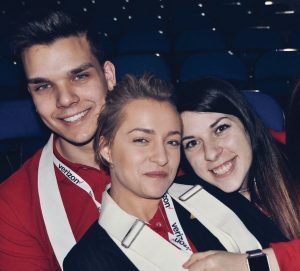 Otto (left) was elected to the Youth Board at her first Youth Leadership Congress in 2013. WECN: Is there anything else you’d like the co-op community to know about you? Tessa: Hello, co-op community! As you can see in my video, I highlight most of my real interests and passions. But I will still list a few here. I am from Kennan, Wisconsin, a small town north of Hwy. 8 in the woods of Wisconsin. I was able to grow up milking cows, raising pigs, riding my horse, hunting, fishing, four-wheeling, snowmobiling, making hay, and maybe least enjoyable, picking lots of rock. But I am a strong believer that my upbringing is what provided me with such a strong work ethic. Otto (center) and fellow Youth Leadership Council members at work at the 2017 NRECA Annual Meeting. In school I work as one of the select seven students who serve as Titan Gold Corps Ambassadors. To put it simply, we are student “faces” for the University of Wisconsin–Oshkosh. We give tours, communicate with prospective students, operate a professional Facebook profile, and recruit prospective students. I was accepted to my school’s college of business the same day that I was awarded the scholarship, so I am excited to be starting those classes in the fall. I plan on getting involved in the Student Managed Endowment Fund. This fund is an account managed by a select group of students used on the stock market. I am hoping that this group will assist me in trading my stocks more efficiently in the future by giving me the skills and knowledge to be successful in the market. WECN: Do you foresee a career in co-ops in your future? Tessa: After all the generosity I have seen with NRECA, I can’t imagine not exploring the idea of working for them post graduation. 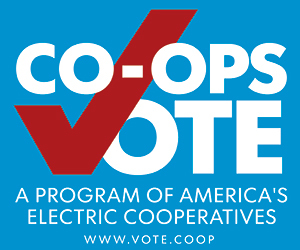 Taking the importance of rural electrification to the national and global level all united as one is a concept that I would be proud to stand behind with the people I have met during my journey with America’s electric co-ops.